This is the story of English Country Dance, from its 18th century roots in the English cities and countryside, to its transatlantic leap to the U.S. in the 20th century, told by not only a renowned historian but also a folk dancer, who has both immersed himself in the rich history of the folk tradition and rehearsed its steps.In City Folk, Daniel J. Walkowitz argues that the history of country and folk dancing in America is deeply intermeshed with that of political liberalism and the ‘old left.’ He situates folk dancing within surprisingly diverse contexts, from progressive era reform, and playground and school movements, to the changes in consumer culture, and the project of a modernizing, cosmopolitan middle class society.Tracing the spread of folk dancing, with particular emphases on English Country Dance, International Folk Dance, and Contra, Walkowitz connects the history of folk dance to social and international political influences in America. Through archival research, oral histories, and ethnography of dance communities, City Folk allows dancers and dancing bodies to speak. 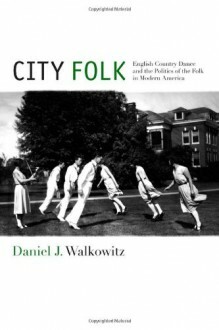 From the norms of the first half of the century, marked strongly by Anglo-Saxon traditions, to the Cold War nationalism of the post-war era, and finally on to the counterculture movements of the 1970s, City Folk injects the riveting history of folk dance in the middle of the story of modern America.